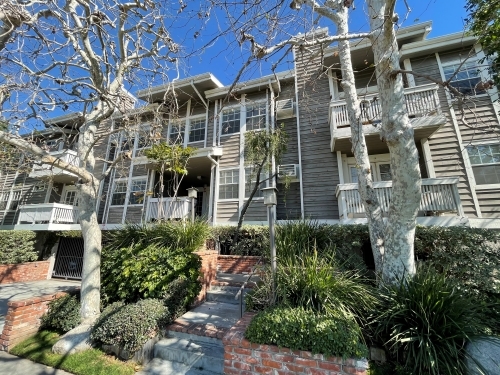 Top floor unit with laminates throughout, balcony, fireplace, granite counter tops & stainless steel appliances in a beautiful 2 story cape cod style building. Walking distance to the new metro line, Main Street, Sony Studios, Trader Joe's, The Kirk Douglas Theater and Culver City restaurants and night life! Pets are welcome with an extra $350 deposit per pet.